Most people struggle to understand how breaking the law could possibly be a good thing. The reality is, I would prefer to avoid getting arrested and instead feel confident that my government was taking seriously one of the greatest challenges humanity has ever faced. Today I am going to participate in an event that will likely result in my arrest. I will be joining hundreds of other Canadians in non-violent civil disobedience to protest the Harper Government's inaction on climate change and demand that they stop the expansion of the Alberta tar sands. The reactions of family and friends have been interesting as I explain my motivations. Most people struggle to understand how breaking the law could possibly be a good thing. The reality is, I would prefer to avoid getting arrested and instead feel confident that my government was taking seriously one of the greatest challenges humanity has ever faced. Unfortunately they are not, so I will be risking arrest. By now we know well that the devastating impact of climate change threatens the food we grow, the homes we live in, and the water we drink. Climate change threatens peace and security and exacerbates ongoing conflicts throughout the world. If Canada continues to refuse to act, these devastating impacts will become catastrophic. Dangerous climate change is a preventable threat to the livelihoods of indigenous peoples, millions of species of plants and animals, vulnerable populations, and our children and grandchildren that will bear the ultimate consequences of our government's indifference. The good news is that if governments like ours take serious action now, we can prevent the worst. Climate change is at its core an injustice. Those who suffer the most have done so little to contribute to this crisis, and they are the least prepared to deal with the impacts. Women and children in impoverished countries are especially vulnerable. As I risk arrest, others risk their lives for their most basic needs. Canada is one of the worst countries in the industrialized world when it comes to taking action on climate change, and we know why: tar sands. 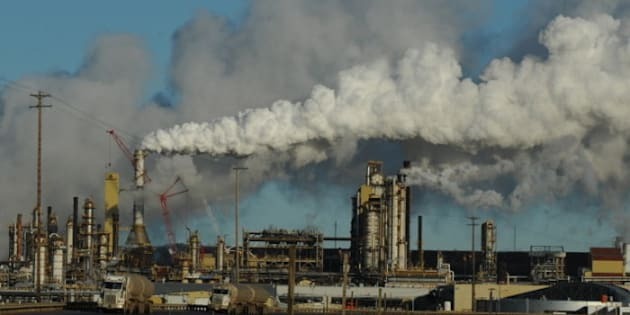 The tar sands are Canada's fastest growing source of greenhouse gas pollution, and if they are allowed to expand as projected they will make it impossible for Canada to do its fair share to combat global warming. This government's short-term interests have turned them into a lobby arm for one of the most destructive projects on the planet. Not only is Canada failing to take action at home, they are also actively trying to prevent other countries from cleaning up their act. We need the Canadian Government to invest the money it spends each year on handouts and lobbying for the oil industry in a clean future for Canadians and the world. Our global addiction to and the dangerous exploitation of fossil fuels goes against everything we need to ensure a safe and peaceful future for humanity. It is disappointing, but of course not unprecedented, that citizens such as ourselves must rise above the moral shortcomings of our governments at this critical moment. We are joining the ranks of those who have taken similar risks to demand a better future. There was a time when an end to slavery, universal suffrage and basic civil rights seemed unattainable, but the moral imperative for action changed our world for the better. The climate crisis is one of the greatest moral challenges of our time, and this is why we are acting together to challenge our government to do what is right. There is an inspiring and proven power in non-violent civil disobedience and I sincerely hope that our actions are helping to build the movement that will change the world. Over the last month I watched -- with great respect -- over 1,000 dedicated individuals in the U.S. be arrested in a peaceful demonstration to tell President Obama to say no to the Keystone XL Pipeline. The Keystone XL Pipeline, and the tar sands oil it would transport, represents a choice. A choice between preserving the planet we share, and sacrificing it by allowing the climate crisis to spiral out of control. I feel strongly that as people of the country that is the root cause of this problem, we too must ensure our government hears the message. "The reality is not that I lack respect for the law; it's that I have greater respect for justice. Where there is a conflict between the law and the higher moral code that we all share, my loyalty is to that higher moral code." My allegiance too is with the higher moral code. The only ethical choice we have is one the moves us away from fossil fuels and towards a just, clean and safe future. Please join us on Monday on Parliament Hill. You do not need to be prepared to risk arrest to participate. Visit ottawaaction.ca for more details.